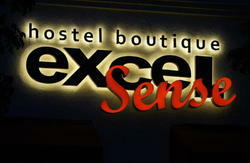 Graffiti Playa Hostel is located just a few blocks away from the beach and Quinta Avenida (Fifth Avenue). It's the perfect place for people looking to enjoy themselves and have some fun! In addition to twin, double, and triple private rooms we also offer different styled dorms that accommodate up to 6 people. All rooms are full of natural light. We offer laundry service and towel rental. 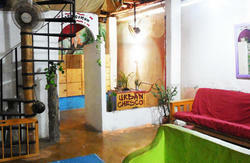 Wi-Fi is accessible from all areas of the hostel and is free of charge for all guests. Among other features we have a comfy TV room and an abundance of outdoor communal area which allow you to connect with travellers from across the globe, great for a nice barbecue. 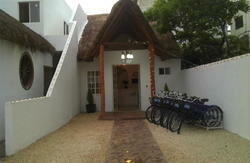 Please note: Our private rooms are situated in an annex building two blocks from our main building. All services in our main building are available to private room clients. From Cancun international airport (CUN): We recommend use of ADO bus service. ADO buses are comfortable, air conditioned, and safe. Buses are direct to Playa del Carmen ADO 5th Avenue bus station. Journey is around an hour and around 120 MXP (Mexican peso). From ADO 5th Avenue bus station: Exit station to the left on 5th avenue then turn left on 4th street and we are between 15th and 20th Avenue. Taxi from ADO 5th Avenue bus station: A more convenient option would be taxi. The journey cost is 20-30 MXP (Mexican peso).